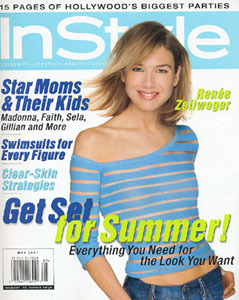 This item is the May 2001 issue of InStyle magazine, which featured photos from the book Hollywood Moms. One of the photos is of Gillian with her daughter Piper. The magazine is autographed by Gillian Anderson and comes with a Certificate of Authenticity from The Official Gillian Anderson Website.